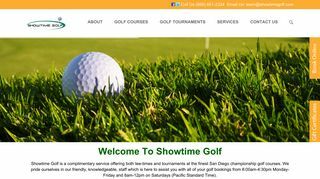 Showtime Golf – Tee time booking service for courses in the southwest of USA. Includes course details, photos, videos and details of special offers. – Tee time booking service for courses in the southwest of USA. Includes course details, photos, videos and details of special offers.